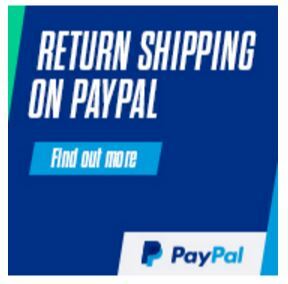 You save £8.00 that's 27% off! 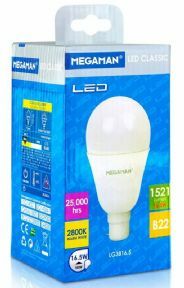 This new LED bulb from MEGAMAN was first showcased at the Hong Kong international lighting fair. Now available to the public this classic shaped bulb only uses 16.5 Watts of electricity but delivers a very high quality of warm white light, equivalent to a traditional 100 Watt incandescent bulb. With superior colour rendering of up to Ra80 and an A60 shape, this extremely lightweight design coupled with a sleek finishing of the lamp surface largely adds to its appeal as a stylish and contemporary lighting solution. Renowned for its high efficiency and sustainability, the LED Classic series are very easy to install. Like other lamps in the MEGAMAN® LED Classic series, the bulbs are totally free from mercury and UV which ensures maximum safety for the consumers and contributes to a sustainable future. The savings from energy consumption and pollutions to the environment will surely put an end to its 100W incandescent equivalent.